Happy Wednesday, Everyone. I hope your week is off to a great start! I’m so excited for today’s post because I get to talk about one of my favorite topics ever, Grumples and Leo (my dogs!) If you’re familiar with my blog, then you know how obsessed I am with them. My dogs bring so much light and happiness to my life, and I want them around as long as possible. I spend several hours walking them each day to make sure they are physically and mentally healthy. My dogs get so excited for our walks. As soon as I say “get your leash,” they jump up and start wagging their tails. It’s so important to let your dogs explore new places, new smells, and interact with other dogs. And there is nothing better than sleeping dogs after a long walk. About a year ago, my older dog, Grumples, weighed in ten pounds overweight at the vet. After that, I made walking three miles a day part of our daily routine. He’s back down to a healthy weight, and we still love our walks together. It’s good for the both of us. Physical activity is necessary, but so is the food that they eat. 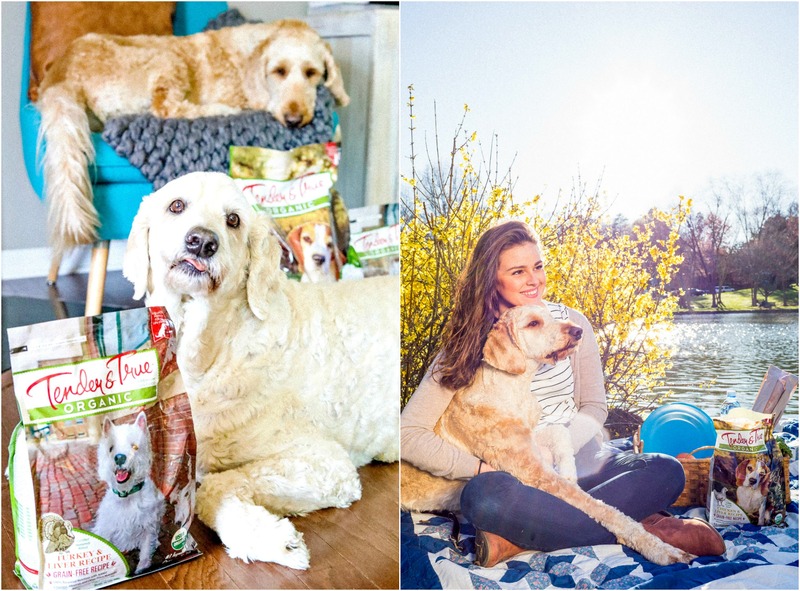 I make my health and food choices a priority of mine, and my dogs are no different. 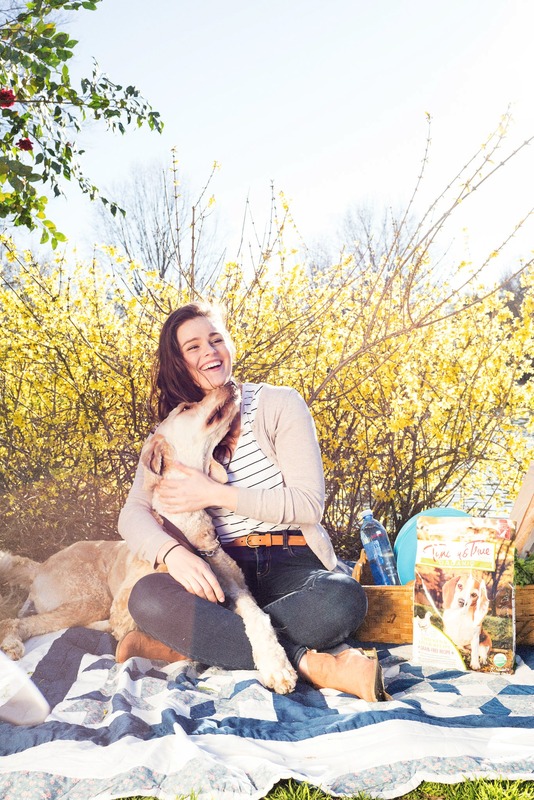 I am so proud to be partnering up with Earth Fare (my favorite grocery store ever) to talk about Tender & True, a healthy dog food that you can find right in their pet aisle. 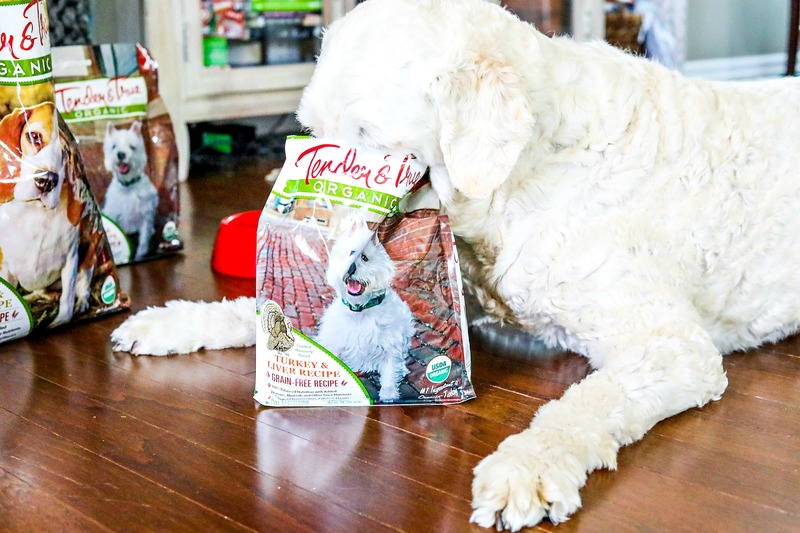 It’s the only USDA Certified Organic and Certified Humanely Raised pet food on the market. 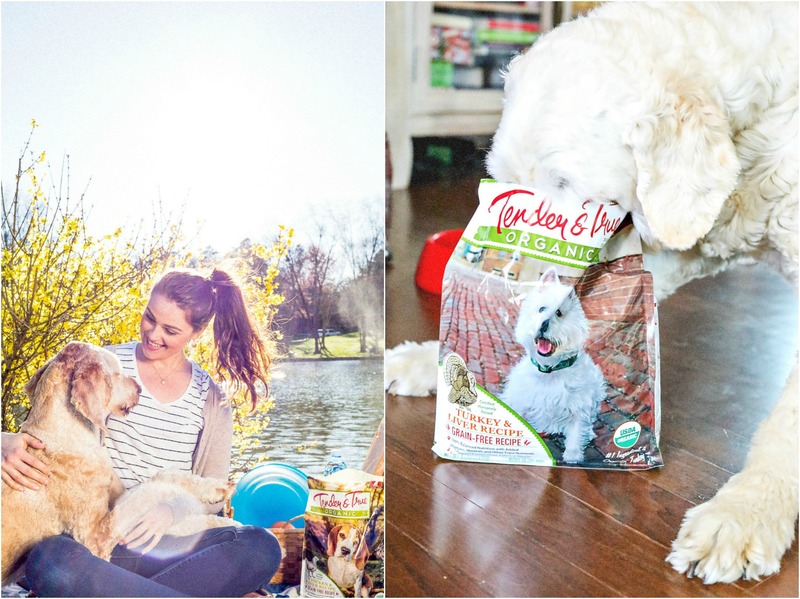 It’s important to set your dog’s food standard high, as you would for yourself. When I heard about Tender & True, I was pretty intrigued because it almost seemed to good to be true. It ended up being so great that I have made the switch, and my dogs are pretty happy about it. Let me tell you why I made the switch. One of the biggest factors in making the change was that Tender & True is Global Animal Partnership(GAP) certified. Gap uses a 5-step program that tells you exactly how the animals have been raised, and every farm partner is audited by an independent company every 15 months. There are no antibiotics, animal by-products in the feed, or added hormones. I love knowing that the meats I’m feeding my dogs, or myself, are from farms that ensure animal welfare. The Tender & True ingredient list was very impressive, which also convinced me make the switch. Whenever I’m purchasing dog products, I make sure that they are always made in the USA, so I loved seeing that being made clear on the bag. What makes Earth Fare one of my favorite stores is their Boot List. It’s a list of harmful and unhealthy ingredients that you will never see in your food, OR your dog’s food at Earth Fare. Tender & True is held to the same standards as human food. Why shouldn’t it be? 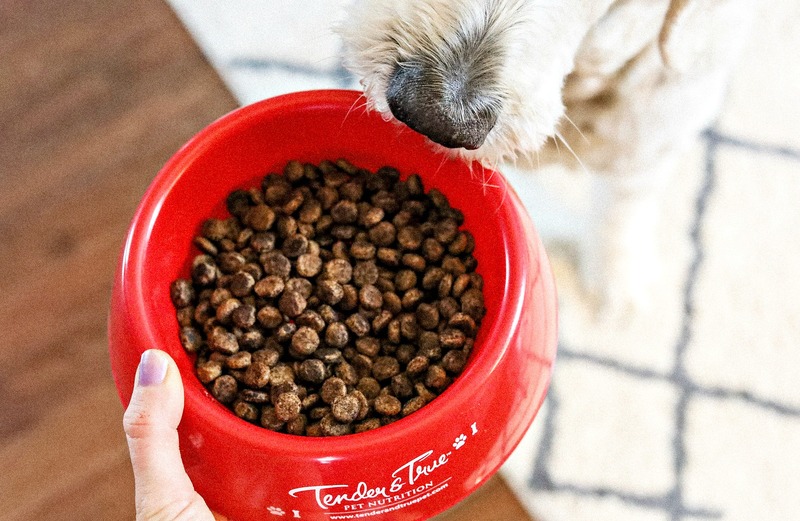 Along with the healthy superfoods found in Tender & True, it’s grain free, which is so great since my dog’s both have grain allergies. 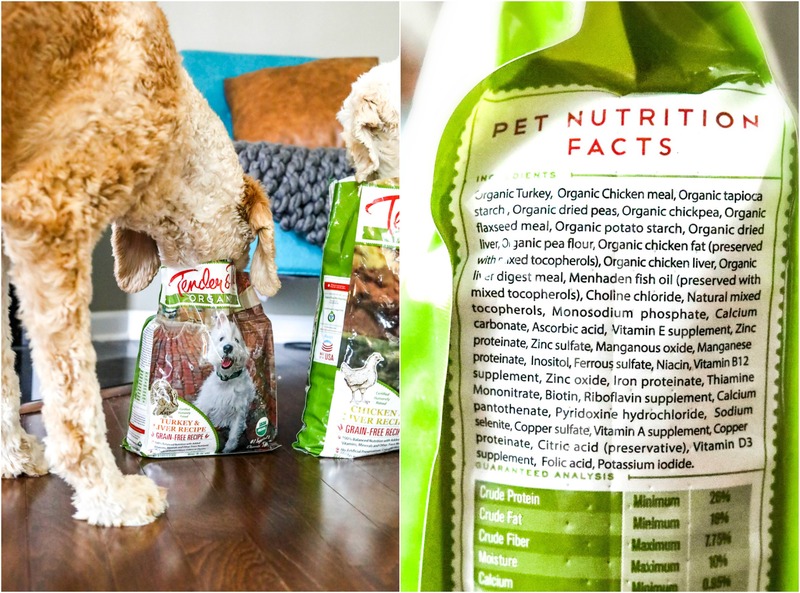 When you look at the ingredients, you’ll see that organic turkey is the first one listed. That’s already a good sign! All of the ingredients are natural, organic, and you won’t find any harmful dyes, hormones, artificial flavors, or fillers. There are added vitamins, which is great for keeping my dogs healthy. I love shopping at Earth Fare because of their Food Philosophy. I don’t have to spend too much time reading over the labels because they do it already. And if any ingredient is on their Boot List, it gets the boot! 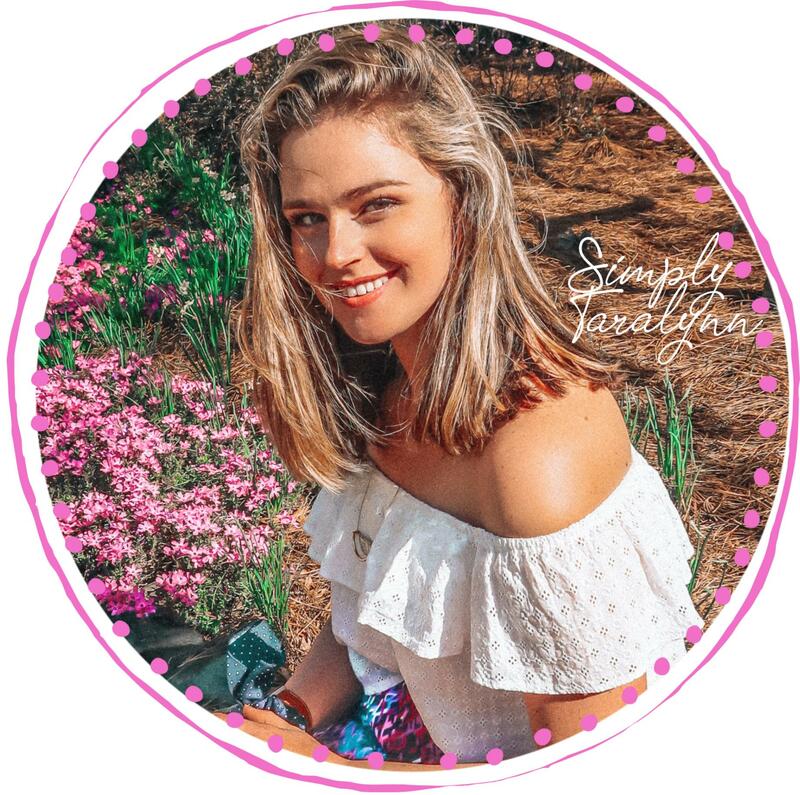 Earth Fare pledged to keep their food free of added hormones, artificial fats, and trans fats, artificial sweeteners, bleached or bromated flour, antibiotics, high fructose corn syrup, artificial preservatives, or artificial colors or flavors. If you head to their Food Philosophy, you can get more information on their departments and how they meet their Food Philosophy. If you have an Earth Fare close to you, make sure to stop in and pick up a copy of The Clean Plate! It’s their healthy lifestyle quarterly magazine. It’s filled with great deals and healthy tips to help customers “Live Longer with Earth Fare.” Leo and I had so much fun shooting these photos for The Clean Plate, and we’d love to see you pick up a copy! 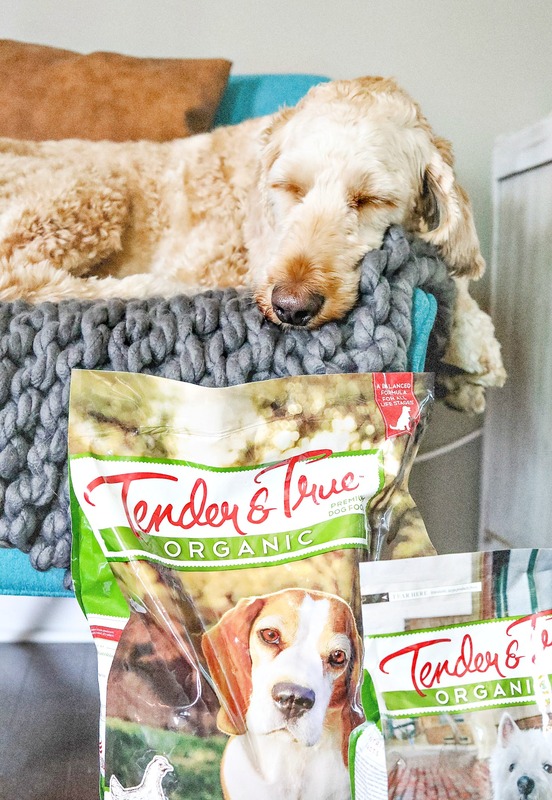 While you’re there, you might as well pick up a bag of Tender & True for your pup 🙂 I promise they’ll love it. It was nearly impossible to get their heads out of the bags. 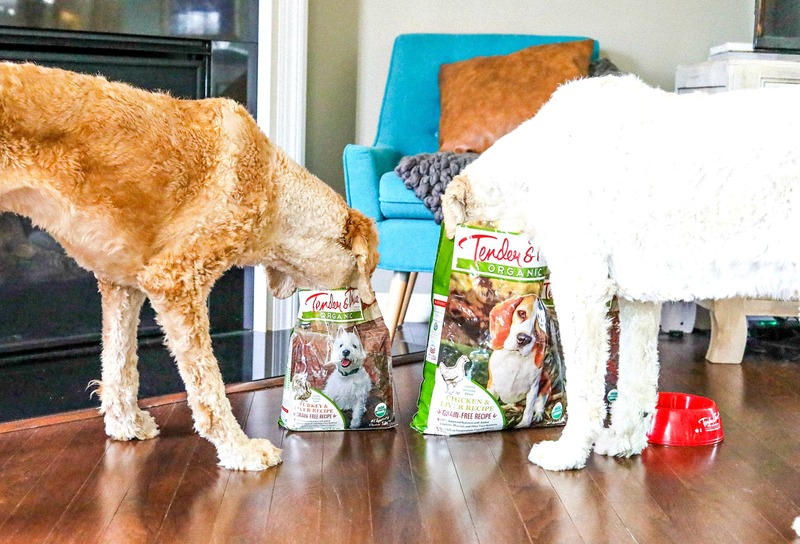 Do you pay attention to what goes into your dog’s food? I get a kick out of names. What is your dog’s name? Thank you guys for reading. This post was sponsored by Earth Fare and Tender and True, but ALL opinions are my own! Looks like great food for my pups! 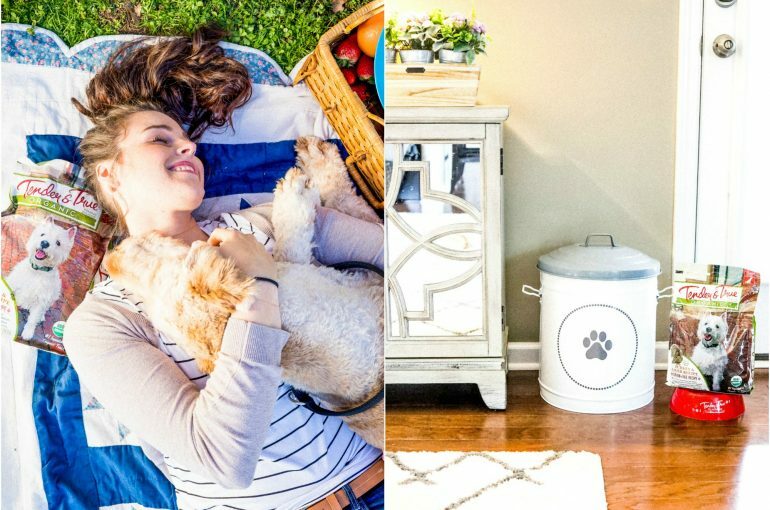 Love the post on your dogs! I love Brittany dogs! Hudson is a cute name, too! Your dog sounds so adventurous! I love it! Yeah we’ve switched to a more expensive brand of dog food. She’s allergic to grain as well, so we have to watch that. The vet said she may be allergic to chicken as well. She has crazy allergies just like her momma! I love taking her to the dog park, or on a walk around the neighborhood. Not to mention car rides, I’ll I have to say is “Do you” and she gets super excited. My baby girls name is Bella. Her name when we adopted her was Hershey but she definitely didn’t look like a Hershey. Yup! I’ve heard of dogs being allergic to chicken! We usually stick to turkey! lol Bella is a cute name! My dog’s name is Olli and when she was very little she started having spells where she would throw up 7 – 14 times in a short period of time and this would happen about once a week. We could not figure out what it was and finally, the vet figured out that it was pancreatitis and she could not digest the fat in her food so we switched to a low fat, more gentle (and way more expensive!) formula but it is SO worth it. I would do anything to make sure she is healthy and I am just so glad it works for her. 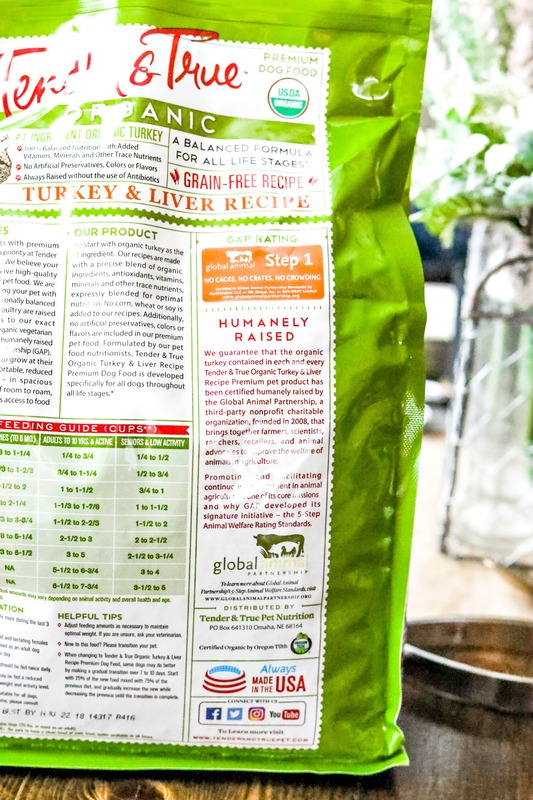 After having two dogs die from blood cancer I began to research the supposedly high quality dog food I was feeding them and was horrified by what some foods actually contain. The price and being “vet approved” does not necessarily correlate with quality and ingredients dogs should be eating. Now that I have Jake (named after Jake from State Farm) he only gets a grain free, made in Canada (that’s where we live) dog food with human grade meats and no by-products. It’s more expensive than crappy food but when I think of what I paid in vet bills when my dogs were sick it probably works out the same. He has an amazingly soft coat and is a happy, healthy puppy! Love your pooches! I have a soft spot for doodles and that’s why I ended up with Jake the bernedoodle! Wow, so sorry to hear about your pups. 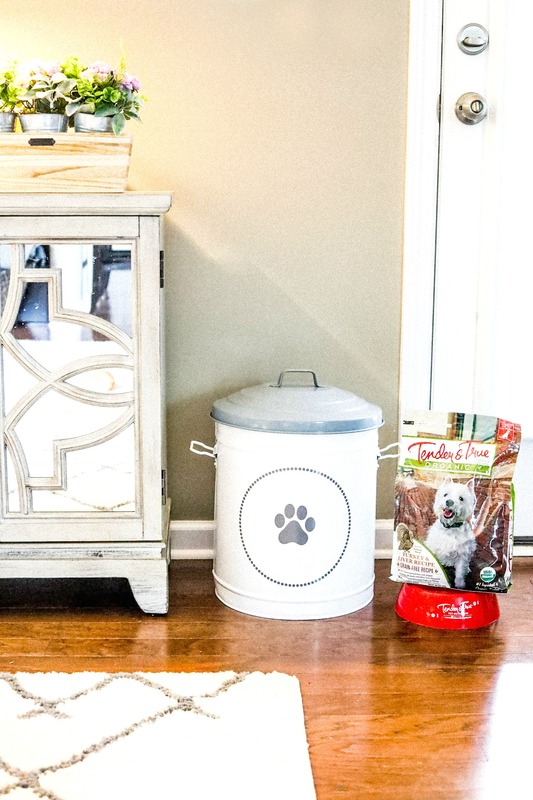 It’s crazy to see what goes into dog foods! We just look at the flavor and assume it stops there. It makes no sense as to why a lot of these foods have added dyes in them. Jake from State Farm!? lol that is amazing. Love that you’re treating Jake to a great quality food! So important. 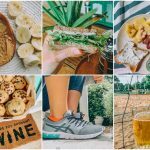 I’m a huge believer in feeding high-quality food and providing plenty of exercise. 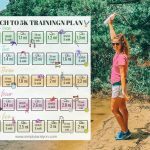 You’re either going to spend the time, money, and energy providing good food, and exercise up front, or you’re going to need to spend the time later down the road when they develop health, and behavior issues. It’s so much less stressful and creates a happier life for everyone when you act proactively, instead of reactively to a situation that is now out of your hands. I live in Maine and there is SO much to do with dogs here, we are so lucky. I love doing anything outdoors with them. There’s nothing cuter than a happy dog running at a full sprint through the snow, or in the woods. We have a German Shepherd and an Australian Cattle Dog, so they have endless energy, and it is so nice to just let them into the woods. They can entertain themselves and each other for HOURS just with chasing (but not catching) small animals, swimming in rivers and lakes, finding sticks, etc. Sometimes it’s so fun to just watch a dog be a dog! We think it’s funny to theme-name our dogs. The theme right now is movies/characters. We have (Vin) Diesel, (Peter) Parker, and Meeko (Raccoon from Pocahontas). Yes very important! I look at it like that too, and same with us as humans! If we don’t eat right and exercise, we’ll end up spending more on health bills. That’s why we have to put our standards on the same level. OMG, you’re so lucky!! I love Maine! I’m planning a trip there this summer. I know my dogs would LOVE it there. My dog’s name is Ollivander (like the Harry Potter character) but we call him Vander for short! So glad you do that! I have to agree that walks and cuddling are the best! Yes, I am celiac, therefore no grains for my kiddos either…I am very strict on their food choices. Their favorite treats are veggies because of it, people always say really, but why not? It’s carrots, broccoli, strawberries, blueberries, apples, healthy foods and all organic. Their names are kalei-Hawaiian for beloved child, she’s a Maltese cairn terrier mix, 9 years. Chyanne- she chose her name, after the cheyanne mountain in Colorado, she’s a cairn terrier 8 years old. And last but not least, we have a pup, koa, Hawaiian also for warrior. He was dumped on our laps a year ago when he was sooooo teeny, but his big sisters said he could stay, so we have three. I love the idea of fruits and vegetables as treats too! I have 5 fur babies! # dogs = Pepe, Eva and Tila (Teela) and 2 cats = Shiya and Demi! I just saw that my dog’s food was made in China. I’m feeling queasy. They opened up an Earth Fare near my work a year ago and I’ll be buying this on Monday. It’s a great food! My dogs love it!!! That is so awesome! Dogs can be so sensitive to their foods! Your pup sounds adorable!!! How old are your dogs? I have been looking for a new dog food so I’ll check this one out. Thank you for all the blogs. I wanted to let you know that the past year, your blogs have been better and better. I love reading posts about your pups! They are precious! My dog is Carmen. We love to watch the birds and squirrels in the woods from our balcony, go to the beach, farmer’s markets, long walks to new fun places, digging at the park (ONLY at the park!) we play where’s Carmen (I throw a light blanket over her and ask where’s Carmen, then she digs her way out lol) she’s also learning agility so that’s a fun challenge! Food is extremely important, I need my dog to live forever so I watch everything she eats…she’s fast though so sometimes bad things happen…. Thanks so much:) I love those boys! That is so funny. My dogs also LOVE the birds and squirrels. They sit by the window or on my back porch and go crazy when they come close. What a bummer. The closet Earth Fare is almost four hours away. But it sounds like a great brand! 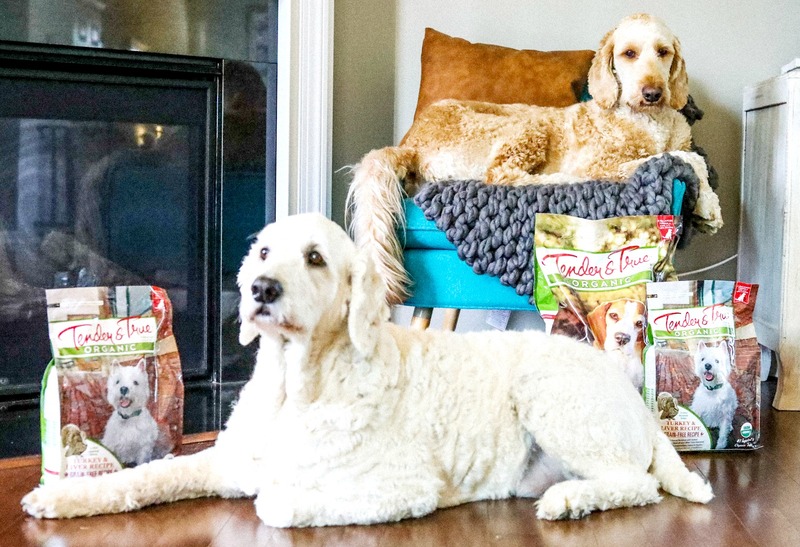 We try our best to buy healthy food (that is a reasonable price – because two big dogs can get pricey) for our dogs and have started introducing some of the raw food diet into their meals. They are obsessed with it. We have two dogs. Bella Roussa loves to hike and watch movies snuggled on the couch. Oliver is all about the toys and playing in the back yard or running through fields. Hahaha he is so funny! OMG it was hard to take their photos because all they wanted was the food! Those are such cute names!! Thanks for sharing! 🙂 I’ve been looking for a healthy dog food for a while! I will go check it out after work tonight. I work a block from Earth Fare! Yay! That’s dangerous lol. I live near Earthfare and I’m there three times a week! Your pups are the cutest! I have four yorkies named lizzard, hen, bear, and frog! I let my kids name them.